The results are in! 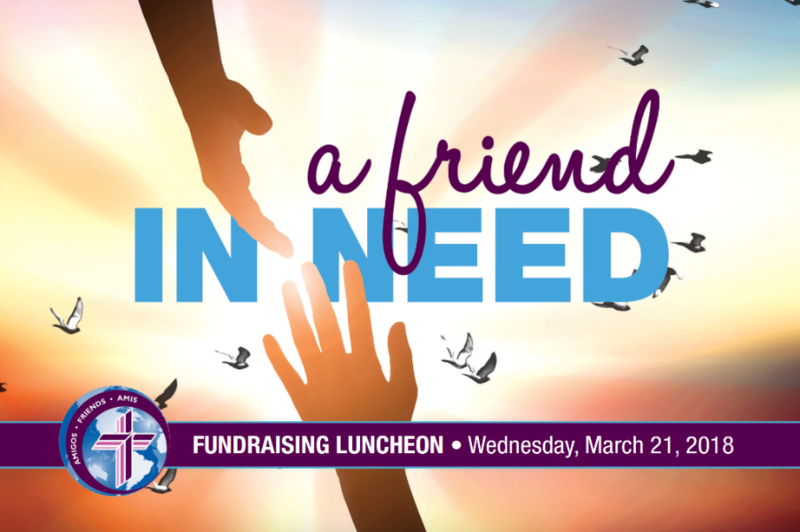 I want to give you an update from our Amigos Center fundraiser luncheon, "A Friend in Need." There were 146 Amigos who attended the Luncheon on March 21. The goal was set at $120,000 and was joyfully met. Now, as continued donations come in, we have surpassed our expectation and are just over $123,000. Thank you for your continued support! It is because of your dedication to our mission and vision that we will be able to further our services and ministry in Southwest Florida as we help people to an abundant life in Southwest Florida in the kingdom of God. 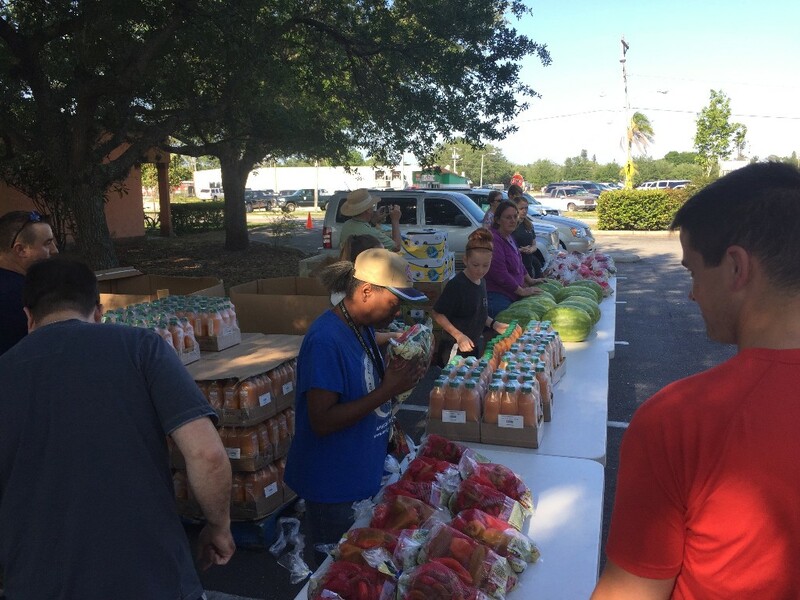 On April 8th, a group of youth and adults from Faith Lutheran Church, Naples helped to distribute food to Immokalee residence at our Amigos Center on South 2nd Street in Immokalee, Florida. 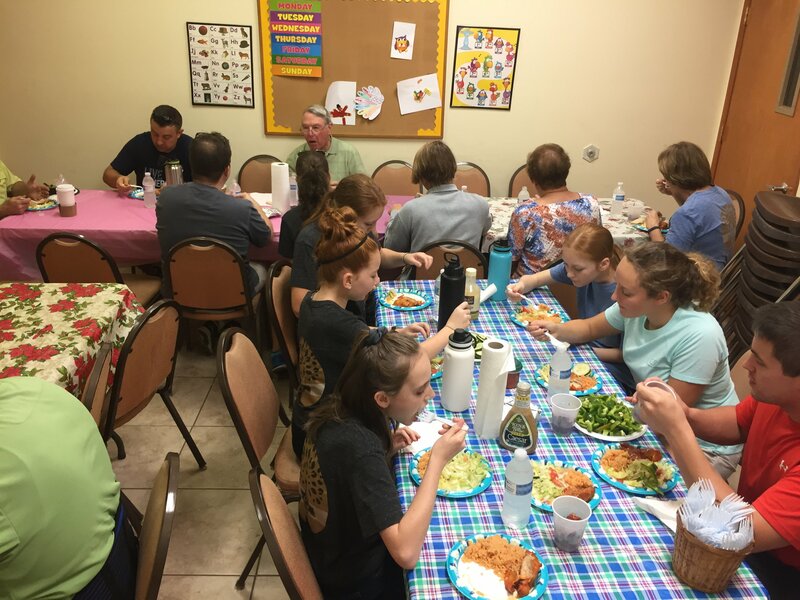 It was a great time for the youth and adults to be Christ’s hands, feet, and mouth all the while helping to fill the stomachs of those in need. Food distributions are a regular part of the continued service and assistance for the community give at our Amigos Center. In Ave Maria, donations were also collected by volunteers on Saturday for Harry Chapin Food Bank. Nine carts full of groceries were donated to be redistributed in the local area through the Amigos Center later this week. Overall, the youth and adults helped to feed more than 350 people as they assisted in distributing more than five pallets worth of food. If you are interested in helping out at the Amigos Center in Immokalee, please contact Pastor Karl Glander at (239)-657-3822. 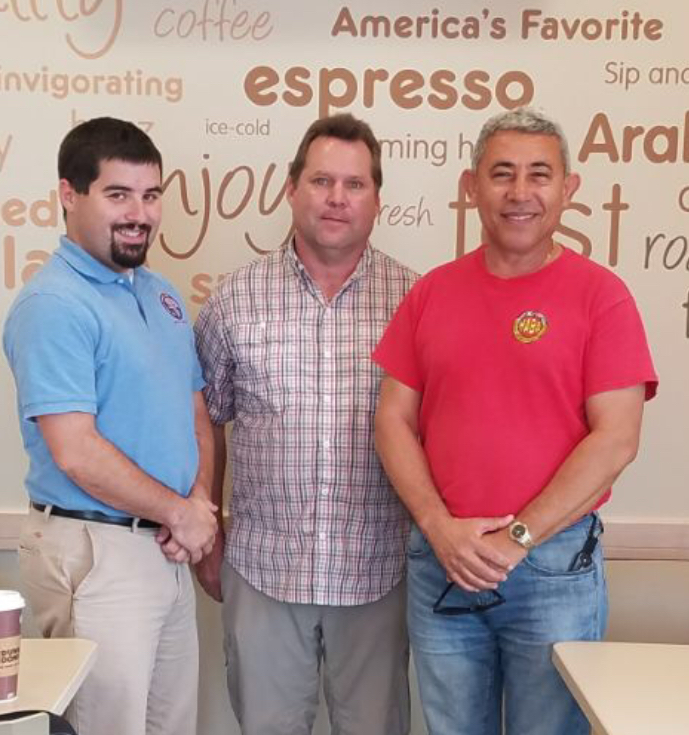 Your prayers and support are always welcome as we continue to serve the people in Southwest, Florida. You may have heard that we are expanding our pastor ministry team by extending a call to Seth DeBartolo a recent graduate of Concordia Theological Seminary, Fort Wayne. The official "Call Service" for Seth will be on April 25 at 7pm. He and Pastor Karl Glander will be continuing their education by heading down to the Dominican Republic on April 16th. They will be immersed in the language and culture for 5 week in order to do more effective outreach for the kingdom of God, when they return. Each week they will be updating you by email as to their formal and informal education progresses. Please keep Pastor Glander, Seth and their families in your prayers during this educational training opportunity.